After seeing the inspiring Dove campaign titled "Love Your Curls," I was inspired, and I decided to discuss my journey to embracing and accepting my own naturally curly hair. I'll admit. I teared up somewhere towards the middle of the video. Why? I've heard first hand many of the self depricating things the beautiful little girls were saying about their hair. Where did I hear it from? Myself. When I was younger, I remember feeling that my hair defined me. Other children would remember me by my "big, poofy hair." My biracial fro was the cause of a lot of "Can I touch your hair?" or "How do you get it like that?" Although I knew in my heart that these comments were not meant to hurt, they still felt like a punch in the gut for being different. My mother had always taught me that it was "ok to be different", but what if it didn't feel ok? Although my mother constantly assured me that who I was and how my hair looked was beautiful, I didn't feel it. For the longest time, I was totally insecure about my blonde locks. In middle school, I started straightening my hair. I gave into the curious middle school friends question of "Why don't you just straighten it?" All the other girls had long, straight hair, why shouldn't I? I didn't want to be different. When I was met with my peers approval saying, "I like your hair better straight", I rarely turned off the iron. When I did wear my hair curly, I would feel ashamed. I would constantly brace myself for comments about the frizziness and thick texture of my mane. By the end of eighth grade, my hair was damaged and burnt to a crisp. Today, I'm confident and proud of my crazy, curly hair! Mama's advice and encouragement finally sunk in. She told me these important words to live by, "Hold your head up high, you are too beautiful to look down. " I realized that I was my own definition of beautiful. Just because you don't fit into someone else's narrow version of beauty, does not mean you are not beautiful. Dove is spot on with encouraging other women, young and old, to set the example and embrace their curly hair. Changing the way something is perceived starts with those around you. I wear my hair curly to show my young cousins, friends, and family that being who you are is enough. Having curly hair is enough. I want to encourage every girl, no matter what ethnicity or curl texture, to embrace their naturally curly, beautiful hair. You are beautiful and you should be proud of who you are. Remember, you hair does not define you, but your character does. ps. 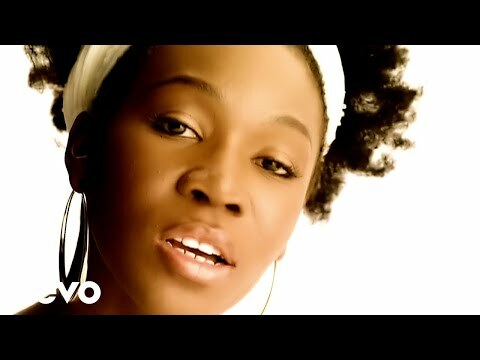 Listen to India Arie's "I Am Not My Hair."